While I don’t watch much current TV, one show I do faithfully watch is Castle. 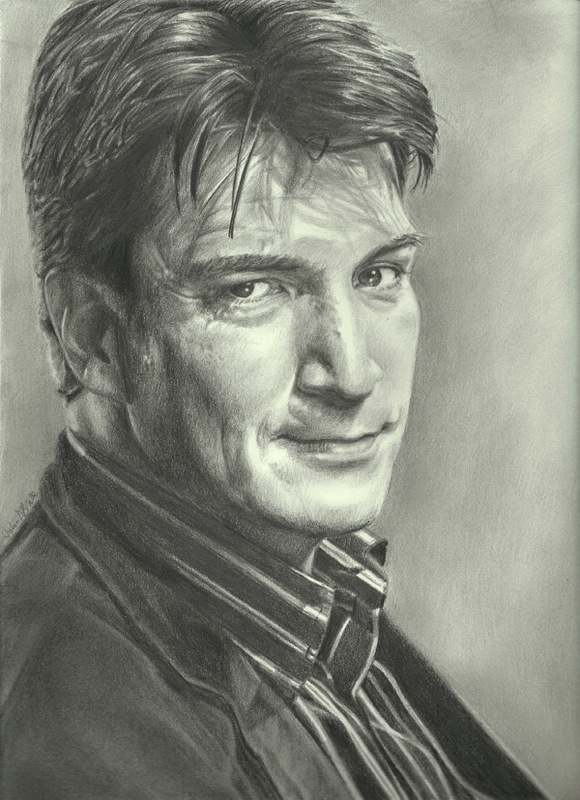 As I was trying to think of new subjects–and after watching one of the last shows of this fourth season–I naturally thought of Nathan Fillion as Rick Castle. Lately, I’ve been trying more and more to use a full range of pencil weights instead of usually laying it out in a light pencil and then diving write in with darker/softer pencils. I’ve been pretty happy with the end result.